The catering business offers many challenges with each event posing different prep times, serving timelines as well as the risk for delays. Catering food warmers are an ideal solution for caterers to ensure their food is the correct temperature and not overcooked and dried out. They offer many benefits over non-heated models that pose health risks as well limited time to serve. Utilizing catering food warmers is critical to serving food that is at the right temperature to not pose a health risk to your clients. Food that is stored at improper temperatures is prone to bacteria growth which can lead to food poisoning, loss of business and even lawsuits. 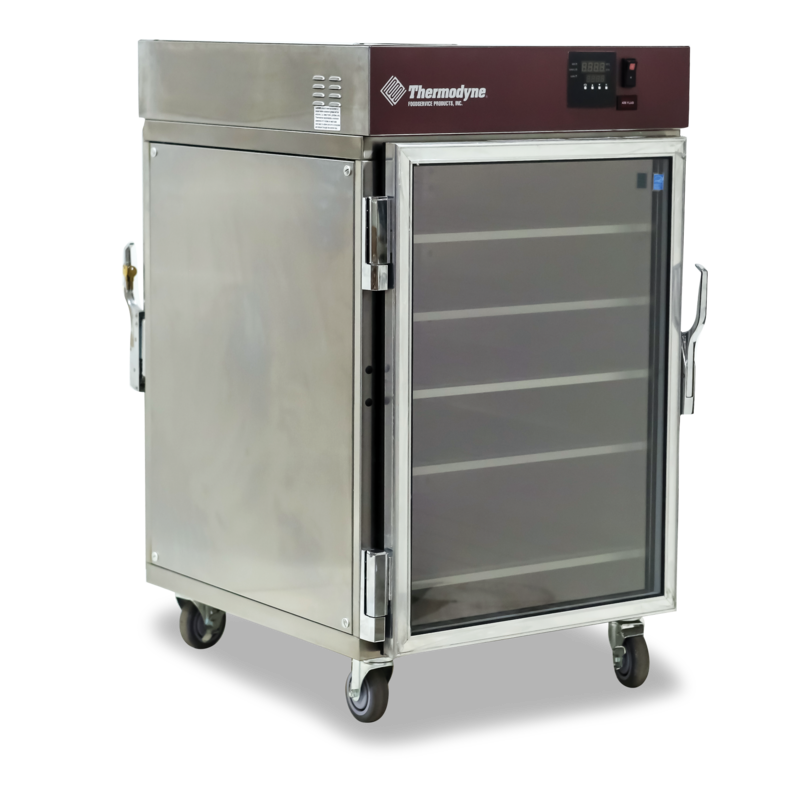 Models such as those produced by Thermodyne allow you to warm, hold as well as slow-cook all in the same cabinet which ensures that your food is at a safe temperature when you serve it. The catering food warmer also offers the convenience of easy transport which allows you to move your product to the catering site and continue to hold the temp, rewarm or even slow cook upon arrival. It also allows you to prepare each course of the meal at different times cutting down on your cooking staff needs. Serving from the warming cabinet allows you to serve at different time intervals which each serving being a constant temperature and the same quality of earlier servings without overcooking. This is especially important when faced with delays as your product will still be prime to serve when the time is right. If you would like more information on catering food warmers can benefit your catering business or which model is right for your business, please contact us.